Changes for D. Va are "still in exploration mode." 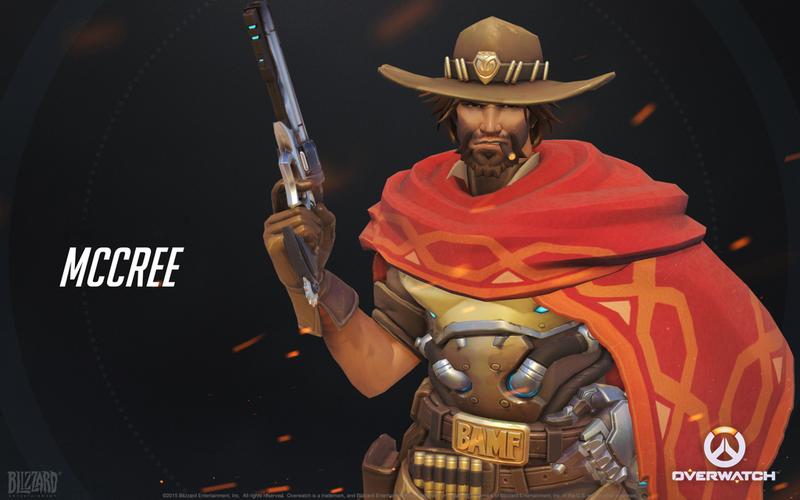 In a recent interview with Eurogamer, Overwatch director Jeff Kaplan said that Blizzard is looking into reducing the damage from McCree's fan attack - a move where he unloads his clip into the enemy. While McCree will still easily be able to challenge characters like Tracer and Genji, he will be less effective against tanks. "The goal there is to make it so that McCree can still use his combo that we love, which is the flashbang and fan the hammer on somebody like Tracer. McCree should absolutely kill that Tracer. We want McCree to be a counter to people like Tracer, Genji and Reaper," Kaplan said. "What we're not crazy about, right now, is the way in which McCree can absolutely shred tanks. It's a little too easy, so we want to bring the fan the hammer damage down, so he's still killing the squishies and the medium strength heroes, but he's less effective against the tanks. If he times everything perfectly and gets every single shot off, he's got a shot against a tank, but it's not the instant 'I win' button that it is right now." As for changes to D. Va, Kaplan says the team is "still in exploration mode." "Obviously her damage has come into question from a lot of people. You have to be really close to do effective damage with D. Va and we might look at that," he said. "We might also look at her survivability. A lot of time, D. Va can get herself into situations where she's a tank and it feels like she should be there, but then she gets knocked out of that mech so quickly. We probably won't do a bunch of buffs to her damage and her survivability; we'll probably pick one direction or the other, but right now, we've been exploring both." Some of the considerations are high-damage with lower survivability and not buffing her damage, but buffing her survivability. Either way, Kaplan believes that McCree's balance adjustments will come first because he is "causing a lot of concern in the community," whereas D. Va's "not in a horrible place." In other Overwatch news, Blizzard recently announced a collaborative effort with Facebook that will allow users to register for, and log in to, Battle.net with their Facebook accounts, with direct livestreaming of Blizzard games to Facebook to follow. Additionally, Blizzard will "keep an eye on" cross-platform play for Overwatch on consoles (a point Kaplan talks about a bit more in the Eurogamer interview).